The beauty industry is not very generous with samples of hair products, actually, I find it quite stingy to the average customer. We end up making purchases based on word of mouth, hairstylists, reps at beauty supply stores, or reviews online. To help you find the right products for your hair and to save you some cash, here's my thoughts on the products I've tried and now love. I hope it can guide you to what you're looking for. Loving it! 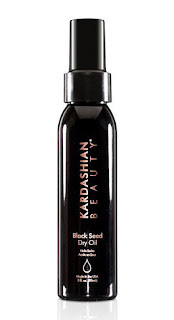 I've been using Kardashian Beauty Black Seed Dry Oil for a couple of months and I must say that it's reinforced my argument in support of hair care lines providing samples.My mother gave me a sample that came in the form of a small bottle. I used it for about a week and it improved the look and feel of my hair. I went out and bought my own and I've used it ever since. My hair has movement, it holds the curls, my hair looks healthier, and it seems to be protecting my hair from my hot tools. If you want shine, this product delivers. I always blow dry my hair on a medium setting using my Remington Pearl but I can't lie, I have to use a curling or flat iron to get the look I want and it seems to provide thermal protection. 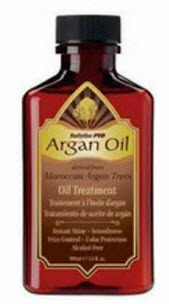 This oil helps the iron slide right through giving me smooth shiny hair. It's done wonders form my daughter's naturally curly hair. It even helps me get the brush through the knots. I blow dried her hair using Bain de Terre \Blow Dry Smoothing Cream and Kardashian Beauty's Black Seed Oil and she loved it. Smooth and flowing...a little break from her curls. 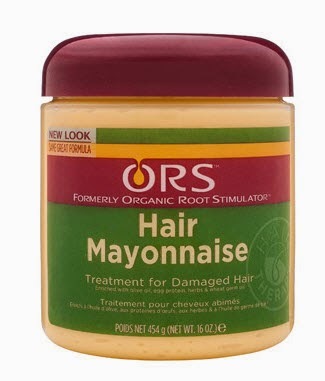 Hair Mayonnaise has earned a key spot in my hair routine. My hair is stronger, easier to comb through, has extra movement and feels super silky. 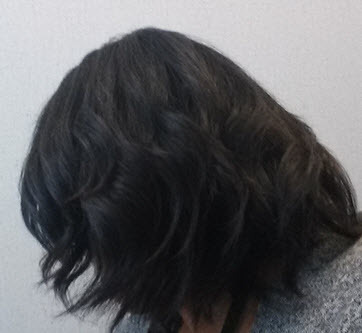 I haven't tried going curly with this product yet but my blowout results have been excellent. This product is very rich so I recommend that rinse it out well or you'll feel a sticky residue after styling. It gives extra protection against heat and the results are pretty smooth. When you use Bain du Terre Keratin Phyto-Protein Shampoo and Conditioner, you'll see your hair go from weak and damaged to strong and luxurious. You can actually feel the moisture from the shampoo before you even put in the conditioner. The conditioner is amazing, you can feel your hair soften as you work it in. It's important to rinse out every bit of your conditioner with cool water. The cool water helps to seal moisture into the cuticles of your hair. After shampooing and conditioning your hair, spray 2-3 pumps of It's a 10 Miracle on damp hair and comb it through to the ends. 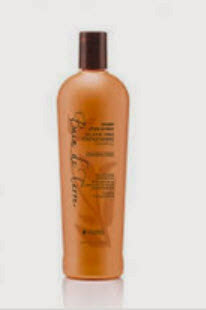 This product gives your hair the protection you need when using a blow dryer and flat iron. The amazing thing is you'll be left with a great shine. Difiaba's heat protection spray is the newest addition to my collection. I use it whenever I'm styling with a blow dryer, flat iron, or curling iron. 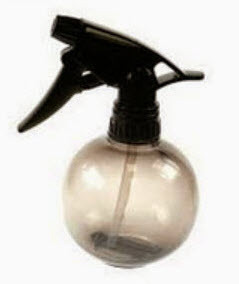 This spray is amazing but hard to find in Toronto. It should be a part of every woman's hair routine. You just need about 2-3 sprays before applying heat or your hair may get pretty oily. There are a ton of products with Argon oil that claim to give you moisture and shine but this one by BabylissPro really does the job. I've been using it for years. I've given others a shot but I back-peddle right back to this oil for my naturally curly hairstyles. I find it a bit heavy for my straight hair styles but it may do wonders for women dealing with extremely dry hair. My daughter has very curly hair and this stuff does wonders for it. Naturally curly girls can be liberated with this Argon Oil. Why mention the obvious, you ask? Well one good reason is that your hair needs to be wet to absorb moisture. Water can be an excellent styling aid, depending on the style your going for. Water is great for natural styles but not so great for styles that result from blowouts and straightening. Check out BlackHair101 for info on why water is good for your hair. My daughter says, "gel makes it all better" and in this case she is right. 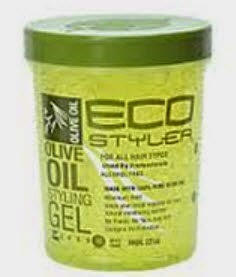 This gel is truly a style saver and a staple in my collection of products. It keeps my hair smooth and doesn't flake. I use Eco Styler all the time, for my slick back styles, to neaten my baby hairs, to keep my daughter's hair in place. I always have huge jar of Eco close by. I have tried many hairsprays and Finesse is one of the best. It doesn't flake and it has a bit of conditioning. I use to use it for years before I was lead astray but I recently went back and am quite faithful. It gives me the best hold and doesn't make my straightened hair frizzy. Frizziness is a constant fear for the curly haired ladies. Ladies, please put take time to care for yourself. You've seen a hairstyle and you want to know how to do it yourself? Google it! Youtube it! There are thousands of how-to videos out there that are easy to follow. Doing it yourself will build your confidence and give you the control of what is used on your prized possession, your body. Check back regularly for updates to this page. Contact me you have any questions or have suggestions.